Not your average wings! Cuckoo's wings are large and meaty, marinated, lightly breaded, and cooked to perfection, served by the pound. Our chicken fingers are fresh chicken terderloins, light breaded and deep fried, each order is a 10 oz. Portion. Basic or covered in one of our great wing sauces, they can't be beat! 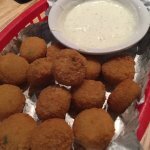 Served with celery sicks and choice of ranch or bleu cheese dressing. 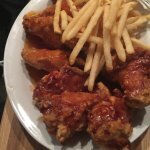 Wing orders with 2 sauces ~ add 0.50. 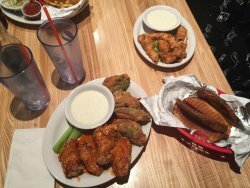 We offer five degrees of buffalo wing sauces from mild to extremely hot. We suggest you start low on the heat scale. We can always make them hotter for you! ! Fresh cut and deep fried the best around! 8 potato skins topped with melted cheese, green onions and bacon. Served with ranch dressing or sour cream. Crispy tortilla chips topped with melted cheese, green onions, tomatoes, jalapeno peppers, and salsa. Our nachos topped with grilled chicken or shaved steak. 6 cheese sticks, served with ranch or marinara sauce. 10 deep-fried macaroni and cheese wedges, with choice of ranch or salsa for dipping. Breaded rounds stuffed with potato, jalapeno and cheese. 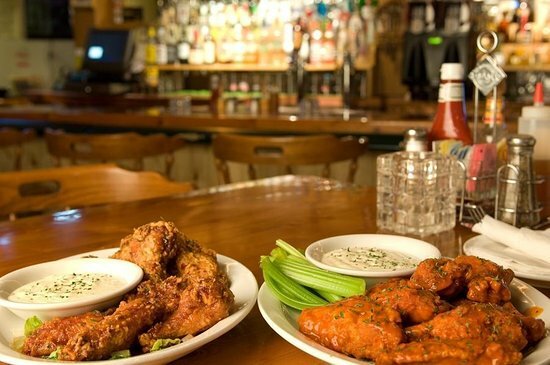 The best of both worlds ~ a full order of our wings or chicken fingers, paired with half an order of our onion rings. Covered in your favorite wing sauce. A traditional cuckoos ceasar salad. Our caesar salad topped with your choice of a cuckoo’s style, blackened, or grilled chicken breast. Buffalo style chicken fingers served on a large salad tossed in our buttermilk ranch or bleu cheese dressing. Cajun grilled chicken breast, basted with BBQ sauce and topped with cheddar-jack cheese. Chicken tenders covered in marinara and melted mozzarella cheese on a hoagie. 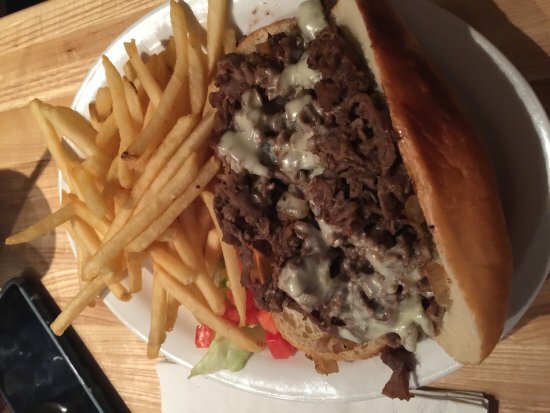 Shaved steak with American cheese, and onion on a hoagie. Huge​ 8oz. Battered cod fillet, served on a hoagie. A boneless, skinless chicken breast, marinated and prepared cuckoo’s style, or grilled to perfection. Fingers with BBQ sauce, topped with green chile and bacon. 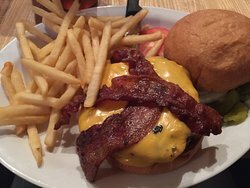 A delicious ½ pound burger. A grilled black bean veggie patty. 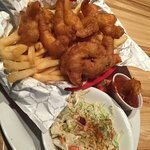 Breaded popcorn shrimp, served with French fries, cole slaw and cocktail sauce. A huge 8 oz battered cod filler, served with French fries, cole slaw and tartar sauce. A breast, thigh, leg, and whole wing, served with 2 biscuits, chicken gravy and cranberry sauce. Served with soup or salad, French fries, potato wedges, or mashed potatos and gravy (available after 4pm), along with corn and a buttermilk biscuit. cranberry sauce available upon request. A breast and two whole wings. Grilled​ boneless skinless chicken breasts, basted with BBQ sauce, or have your chicken basted in your favorite wing sauce, may we suggest teriyaki, sweet and sour, or outback style? 2 each breast, thigh, leg and wing. 3 each breast, thigh, leg and wing. 4 each breast, thigh, leg and wing. 6​ each breast, thigh, leg and wing. 10 pieces of chicken – 2 breasts, 3 thighs, 3 legs and 2 whole wings with large cuckoo’s potato wedges, a pint of cole slaw, and 4 buttermilk biscuits. Served with fries, chocolate chip cookies and a child's soft drink, juice or milk. Chicken wings are huge and mighty tasty! Good drink menu (beer and mixed drinks). 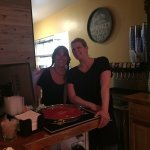 Local spot with great atmosphere and service. The " pressure cooked" fried chicken is awful. Not sure where their definition of fried chicken comes from but it was dry and the batter was weird. The potato wedges were also flavorless. The staff at the Best Western recommended this to us. The Chicken was fresh and cooked perfectly , salad cold fresh, beer cold and drinks were great. Too hot to handle - Left hungry! My husband and I had HOT wings and potato skins. Hot but delicious! We will definitely visit again. The best we've ever had! Get quick answers from Cuckoo's Chicken House and Waterin' Hole staff and past visitors.